Ordered some makeup from Eleven.se. 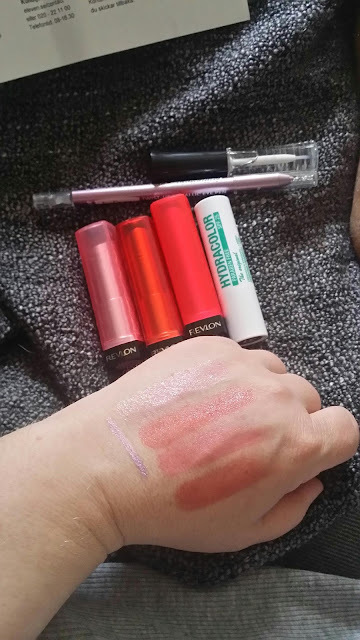 They had buy 3 pay for 2 on Revlon products. So this is what I ordered. Revlon Colorburst lip butter in the colors Wild Watermelon, Candy Apple and Strawberry Shortcake. Hydrating creamstick from Deborah Hydracolor spf25 in color 31. This product is parable free. And then a metallic eyeliner pen from IsaDora in color Pink Diamond and last Ardell brush-on lash adhesive.